In a beautiful region where everything is green, fairies live. They are there in case their help is needed. But, it’s been a long time since someone has asked them something. One doesn’t even know if they still exist. They have decided to meet in this beautiful place. They pass their time having fun and playing practical jokes on each other. Let’s return to the land of the humans. I’m beginning to get bored after all this time playing around, says Alba. Yes, agrees Emi. I agree with you. We are feeling a little bored now. Why return to the land of humans? Retorts Myrtille. They can’t see us or hear us. They don’t realise we are there and they live as if we didn’t exist. They ignore us completely. It’s sad for them but also for us, says Uma. How can we make them realise how important we are to their lives? Exactly, adds Alga. What can we do? They are sad and unhappy without us. We have to help them. It’s our job and our joy of being useful to humans. Since adults don’t notice us, we are going to be useful to babies and young children, suggests Alba. Excellent idea. When do we start? Asks Isa. 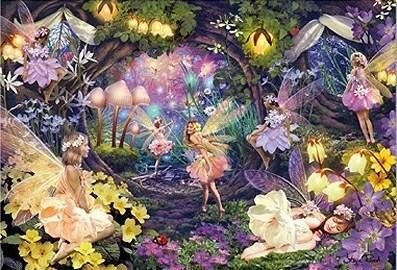 And in this way, our little fairies leave joyfully for the land of the humans in the heart of the field flowers, mountains and trees. Ah, sisters! I forgot my magic wand. Without it, I can’t grant wishes. Wait for me, I’ll return quickly, pleads Isa. Print the fairy pattern and cut it. Cut on a toilet paper roll, a circle of about 3 centimetres wide. Paint or colour the fairy then the roll the colour of the fairy. Once the paint is dry, glue the fairy to the roll. 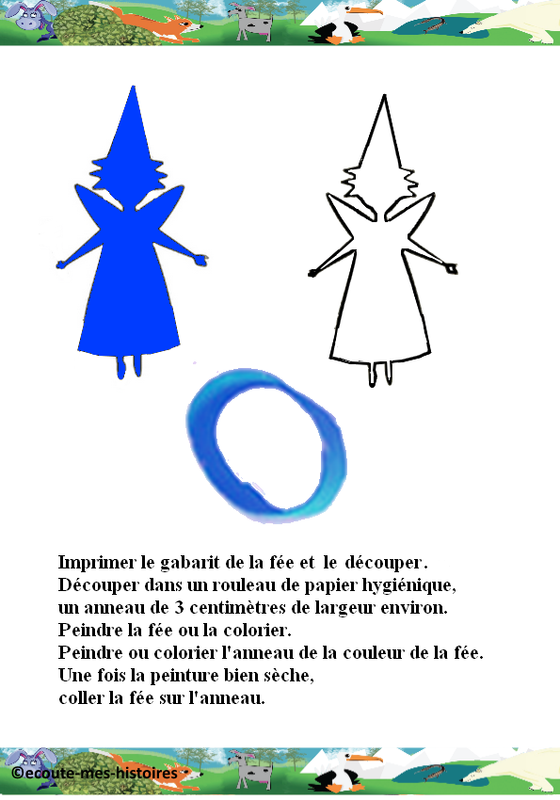 Relaxation: Listen and watch the fairy Dragé’s dance now.